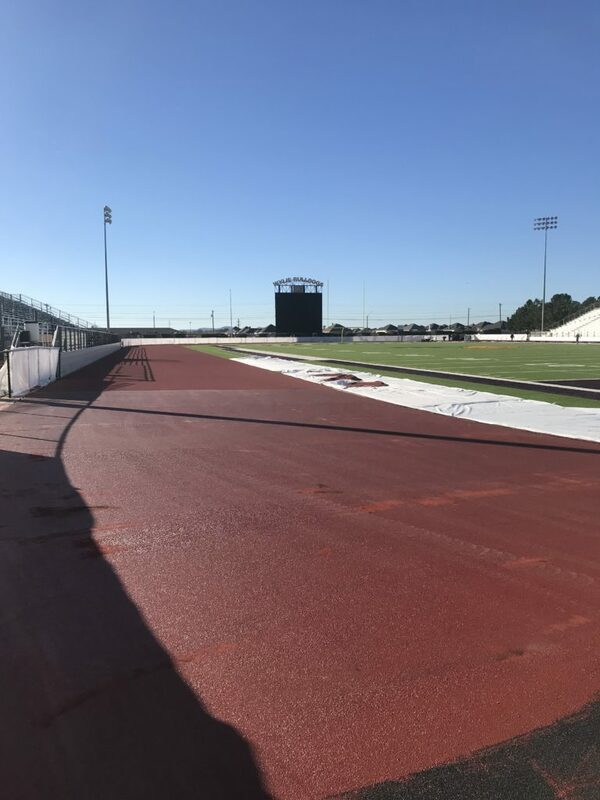 The Wylie Bulldogs will have a new track this season! The covered fencing at Bulldog Stadium has been covering the work of a new track. The Wylie Growl went behind the scenes and took photos. We learned they are not just resurfacing the track; they are putting a totally new foundation and track surface! It’s Great to be a Wylie Bulldog!